One of Airbus Helicopters’ most successful light aircraft, EC 135 is known for its high endurance, compact build, low sound levels, reliability, versatility and cost-competitiveness. 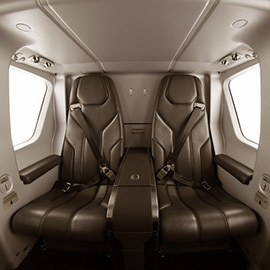 This twin-engine helicopter can perform many different missions, landing almost anywhere, particularly high and hot, while carrying more payload over longer distances than other rotorcraft in its category. Today around 1,100 twin-engine EC135s have been delivered and are in service in nearly 60 countries. With nearly 300 operators, these versatile aircraft have together flown more than 3.25 million hours. 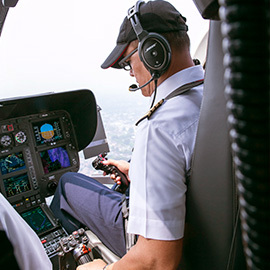 Fitted with a bearingless main rotor, Airbus Helicopters’ signature Fenestron® shrouded tail rotor, engine software modifications delivers best-in-class performance throughout its flight envelope. 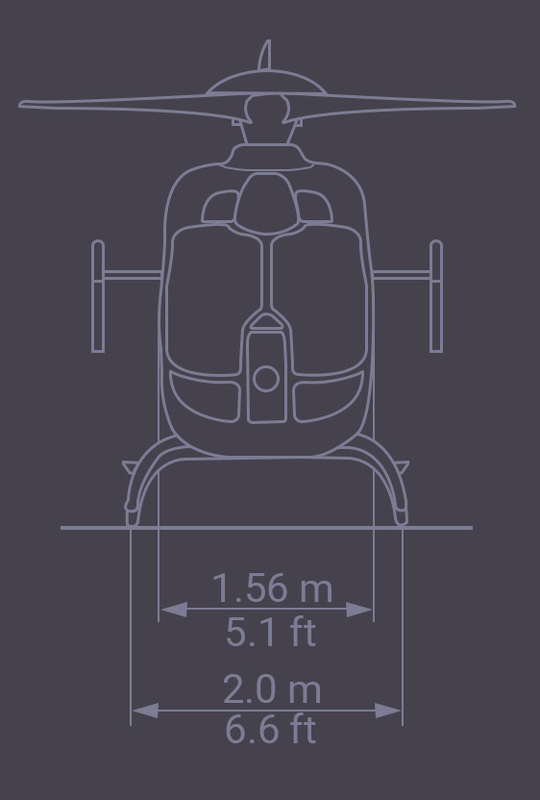 As one of the quietest helicopters in its class, the EC 135’s noise footprint is markedly lower than older-generation helicopters in the same category. This matters most to customers who regularly fly over cities and in densely populated areas and for corporate transportation. The twin-engine EC135 brings low internal and external sound levels thanks to the Fenestron tail rotor. Its sliding doors make cabin access easy, while the large baggage compartment easily accommodates baggage of all sizes. 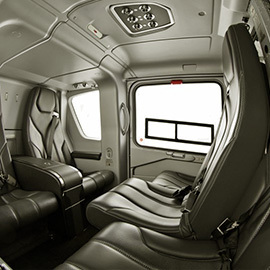 For the ultimate in luxury, the EC 135 comes with a high-end interior design. This interior not only features the French "savoir-faire" in luxury and elegance, but is also made of fabrics and leather to further soften noise and vibrations. Its compact size and high safety standard make it a perfect fit for small Super Yacht decks and landing in confined areas for adventurous explorers. 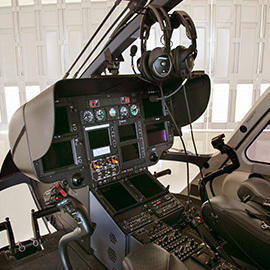 Genuine materials such as real wood and leather combined with highly accurate production methods ensure a lightweight interior that maximizes your helicopter range. 2 Pratt & Whitney turbine engines: new PW206B2 with 30 sec-rating.